The General Services Administration has issued its formal requests for bids on two governmentwide information technology acquisition contracts with a combined total ceiling of $50 billion over 10 years. GSA said Monday it will accept industry proposals for the Alliant 2 and Alliant 2 Small Business contracts through Aug. 29. “The Alliant team at GSA has worked diligently to engage with stakeholders on a transparent, collaborative and interactive process, including both federal agency and industry partner involvement during the pre-solicitation phase, ” noted Mary Davie, assistant commissioner of GSA’s Office of Integrated Technology Services. 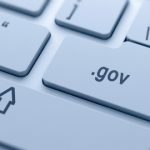 The agency added new IT service labor categories as well as cybersecurity and environmental standards to both the unrestricted and small business portions of the Alliant 2 program. Alliant 2 contracts also incorporate Defense Federal Acquisition Regulation Supplement regulations and provisions that GSA says will automatically apply to all task orders coming from the Defense Department.